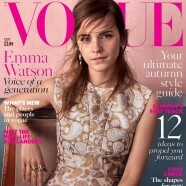 Emma Watson appears on the coveted September issue of Vogue. Marking her second appearance on the cover of the fashion bible (her first being in December 2010 shot by Mario Testino) the 25-year-old actress is photographed by Josh Ollins. Sporting a white and gold jacquard Stella McCartney dress and minimal makeup she looks flawless as she always does. 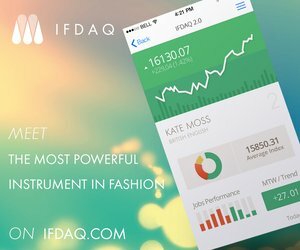 The magazine dubs her as the “Voice Of a Generation” for her work as a UN Women Goodwill Ambassador having launched HeForShe gender equality crusade with a keynote speech on the subject that ended up going viral last year. In her interview with the glossy the actress opens up on her struggles with success, her split with rugby player Matt Janney and her work on gender equality. “Everything clicked in to place, in a way that it hadn’t before. I understood what I’m here to do and knew where to channel all this energy that has been coming at me. I now feel this sense of peace. 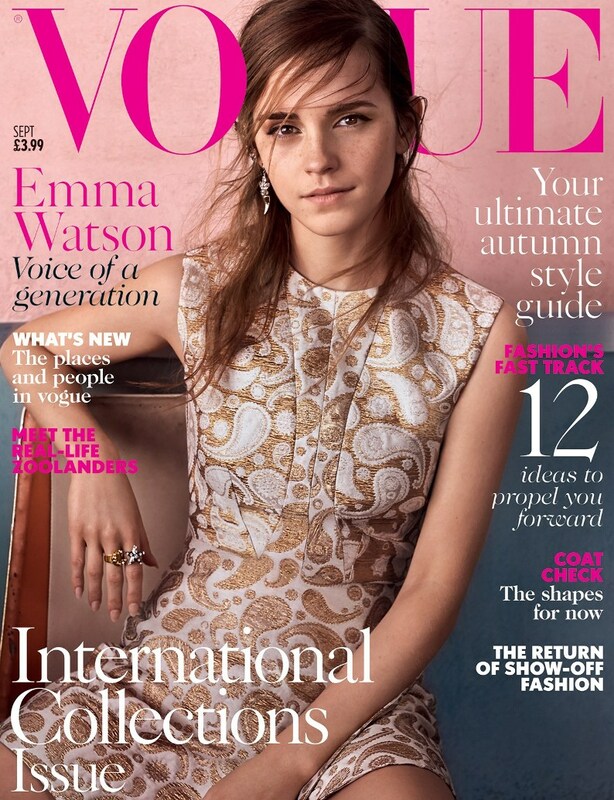 People say that I’m different since I did it.” Watson told Vogue of her role as a Goodwill Ambassador for UN Women. In addition to her interview with the mag Emma engages with famed designers including Stella McCartney, Jonathan Saunders, Bella Freud and Erdem Moralioglu in the Vogue U.K. video “Fashion on Gender Equality: A Conversation with Emma Watson,”. She talks with the designer heavyweights about feminism, maternity leave, and sexism. Head over to Vogue’s site to read the full interview. The issue is already available on newsstands.